I’ve been admiring Heidi Kirrmaier’s patterns for a while now over on Ravelry. I love her clean easy style and there’s always something a little different that makes all her patterns special. So I’ve finally cast on her Nanook sweater pattern and am really enjoying it. It’s fun and so far it’s knitting up pretty quickly. 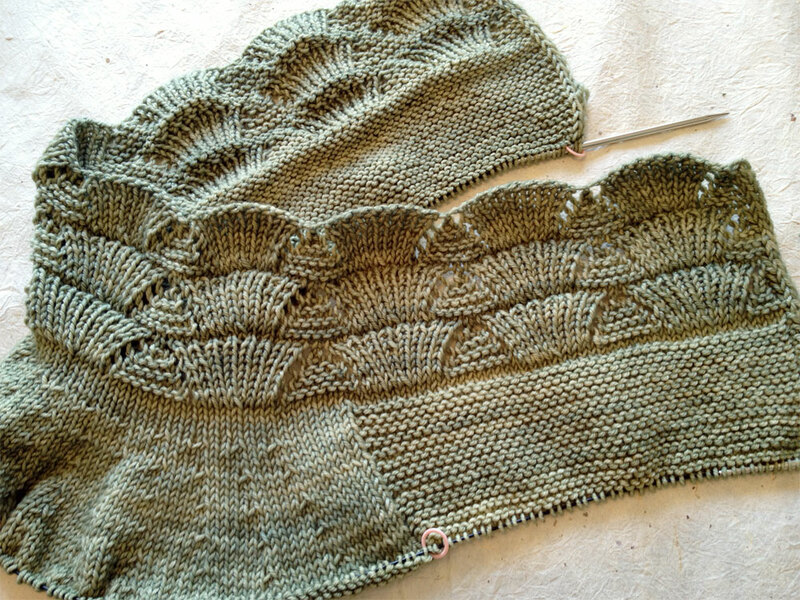 I’m notorious for not finishing sweaters but I think (hoping I don’t jinx myself) I just might finish this one. I’m using some scrumptious MadelineTosh DK in the thyme colorway that I got for Xmas two years ago. It’s about time! Quite a treat. 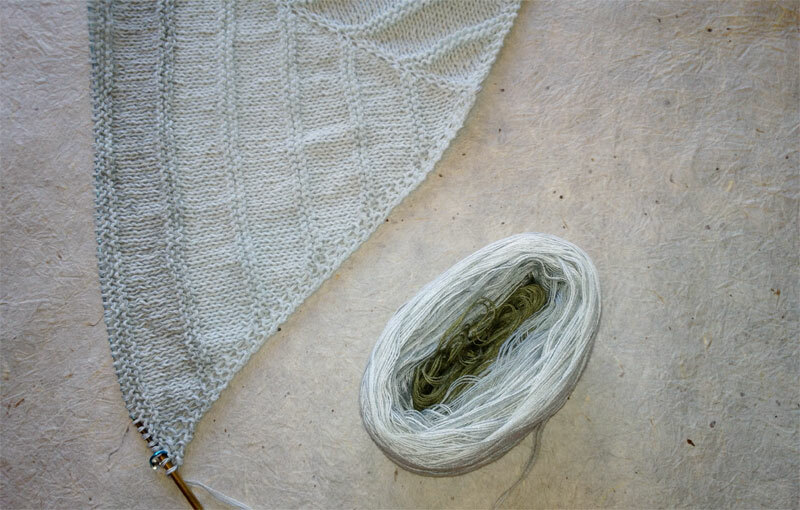 I was happily knitting along on a Boneyard Shawl (by Stephen West) for myself with the super lovely Wolle’s Color Changing Cotton when I made the mistake of showing it to my mom two days before Mother’s Day. Well… you can guess what happened. She loved it. And then I also made the mistake of showing her my other skeins of Wolle’s in my stash and she made a not so subtle hint about what she’d like for Mother’s Day. Unfortunately, I’m one of the slowest knitters on the planet so she got to preview a tiny fraction of her Boneyard Shawl on Mother’s Day proper and then we had some champagne and I packed it up and only just gave the completed project to her last week. At least it was worth the wait if I do say so myself. It was not easy to part with. So now I’m back to working on mine and eagerly anticipating having my own ombré-colored boneyard shawl. My mom’s is in the amazing Dante colorway and mine is in the Sand colorway which goes from an eggshell blue to a darker grey-blue to an olive-khaki color. I can’t tell you how much I love the way this yarn knits up. 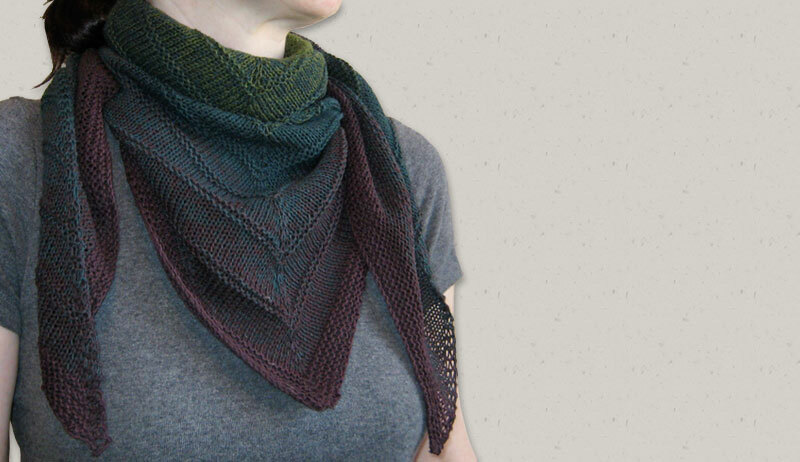 Practically every shawl design I see now I think how would it look in some Wolle’s color changing yarn?? ?